One of the four in the signature series. 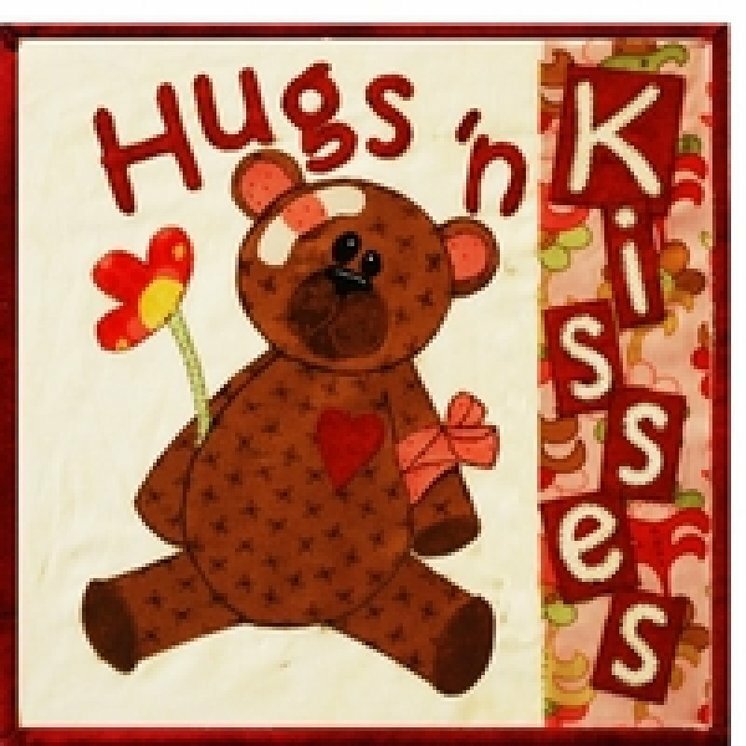 Hugs and Kisses was designed to make for someone who might be under the weather or injured. Make this cute quilt and then have everyone sign it and send as a quilted get well card. Add a wire frame and they can hang it to remember all those well wishers! It would be great for that special Valentine just by removing the bandaid!